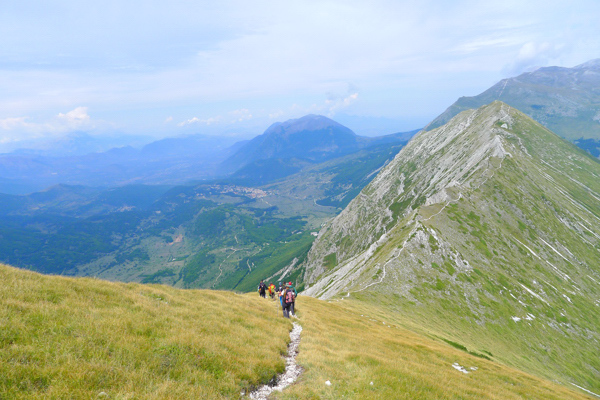 Past week we did a hike on the ridges of the Porrara Mountain (Majella National Park). The hike allows to enjoy a pure nature and to live the traces of recent history. In fact the place was a strategic stronghold for Germans during WWII, because offered a wide view over the side valleys and over the “Gustav line”, the German line of defense that connected the Chieti coast to Cassino. Trenches, craters, stakeout points are still traceable among trees and shrubs. 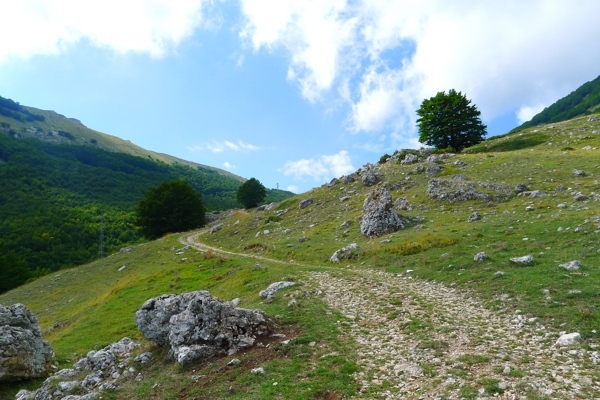 We also walked on a segment of the “Freedom trail”, a clandestine trail, amid beech-trees, ditches and stony valleys, that ideally joined Sulmona to Casoli, and that thousands of war prisoners and young Italians that fought for the freedom of Italy followed after the September 1943 armistice. Hopefully next summer we’ll be able to organize professional guided hikes to give you a full and unforgettable natural and historical experience. What does the wording "in capillis" mean?